Halo deathmatches are about to get real. (Except the whole dying part.) Mattel is turning the hit video game's iconic sci-fi weaponry into awesome toy dart guns. First up: The infamous Needler. 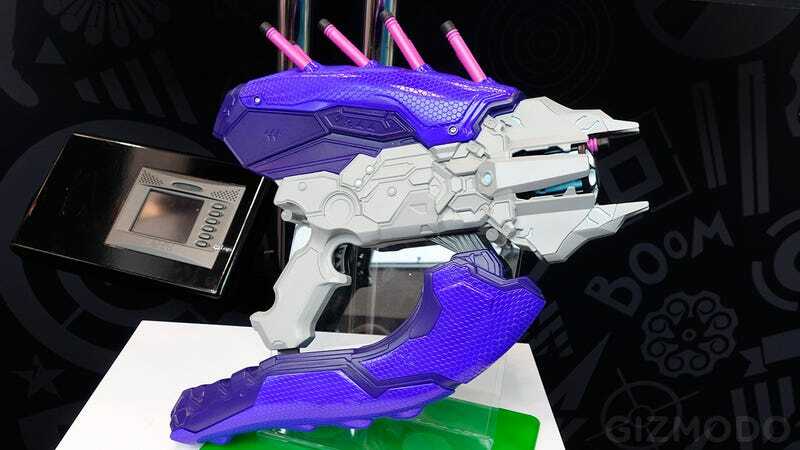 Blaster Labs spotted this Needler at the 2015 New York Toy Fair, and our own Toy correspondent Andrew Liszewski can confirm that it does in fact exist. It's a real BOOMco blaster with awesome BOOMco darts that stick to specially treated surfaces. If only they could intelligently home in on targets like the game's needles. This Needler looks like it's probably a reshell of the Twisted Spinner, one of the least accurate BOOMco blasters I've tried, but it does seem to have a trigger this time, and it looks like an incredible prop nonetheless. The spines on the back even glow.